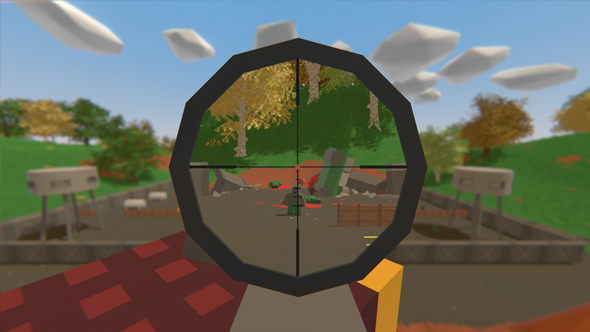 It’s been three years since Unturned, the free-to-play zombie game made by a 16 year old, was released on Steam. In that time, it’s almost never left the top ten most played games on Steam, rocketing there in its first week. Looking for other free games? We have a list for that. It’s a vast and lovely looking thing, full of cliffs, mountains, and castles. Players looking for the best gear to fight off the zombie horde will need to search around in a submerged town – braving the dangers of the water. Even though the game is now out of Early Access, Sexton plans to continue releasing updates and new features for his zombie game.